African Blind Woman Standing With Walking Stick At Home. Blind.. Royalty Free Cliparts, Vectors, And Stock Illustration. Image 72505274. 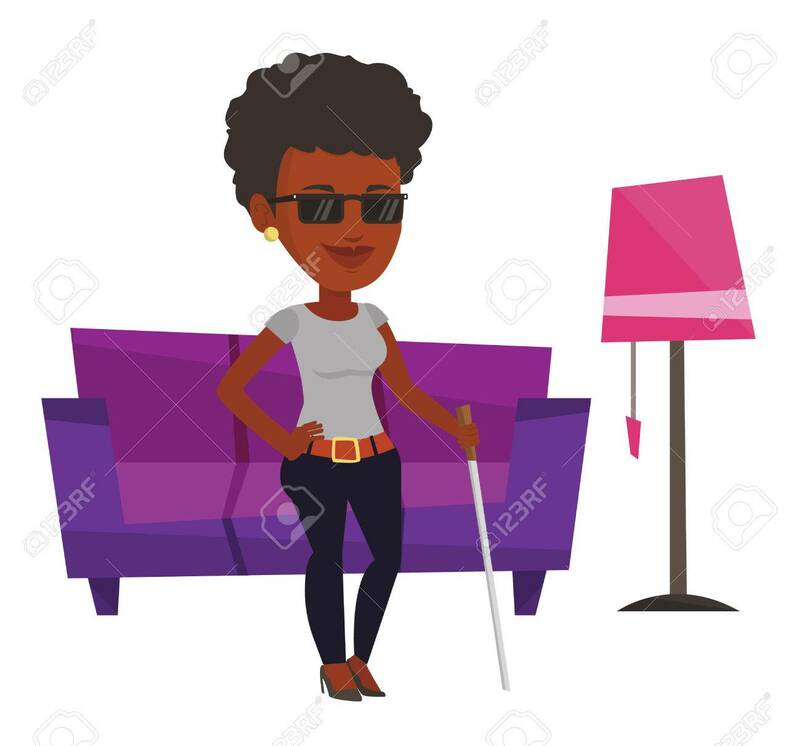 Vector - African blind woman standing with walking stick at home. Blind woman in dark glasses standing with cane. Blind woman walking with stick. Vector flat design illustration isolated on white background. African blind woman standing with walking stick at home. Blind woman in dark glasses standing with cane. Blind woman walking with stick. Vector flat design illustration isolated on white background.